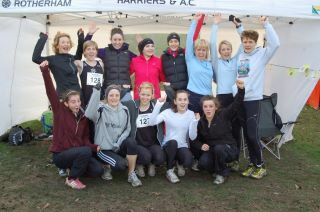 Huge result again for our senior women, 13 of whom competed in todays Yorkshire XC Championships at Wakefield. Making Club history we finished 2nd team (Allen, Burns, Grady, Johnson) with our B team placing 6th (Hatswell, Spence, Lanceley, Hindley). Completing our superb day at the races was the C team in 16th position (Raynor, Hague, Taylor, Neal) with new signing Rebecca Middleton who has rejoined the club and ran a fantastic race today.